Equifax powers the financial future of individuals and organizations around the world. 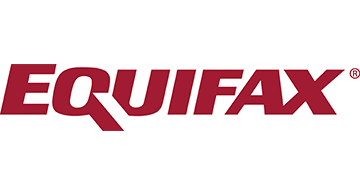 Using the combined strength of unique trusted data, technology and innovative analytics, Equifax has grown from a consumer credit company into a leading provider of insights and knowledge that helps its customers make informed decisions. The company organizes, assimilates and analyzes data on more than 820 million consumers and more than 91 million businesses worldwide, and its database includes employee data contributed from more than 7,100 employers. Some noteworthy achievements for the company include: Named to Top 100 American Banker FinTech Forward list (2015-2016); named a Top Technology Provider on the FinTech 100 list (2004-2016); named an InformationWeek Elite 100 Winner (2014-2015); named a Top Workplace by Atlanta Journal Constitution (2013-2016); named one of Fortune’s World’s Most Admired Companies (2011-2015); named one of Forbes’ World’s 100 Most Innovative Companies (2015-2016).